There are items such as corn, whose yield per hectare is less than three tons, warned the president of the Farming Chamber of the East. 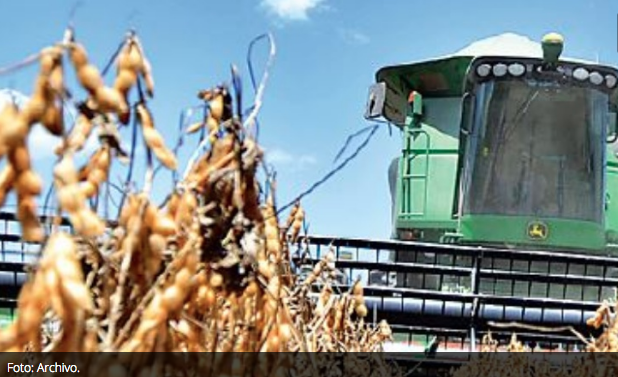 The Agricultural Chamber of the East (CAO) warned that the payment of double bonus in this sector “will be fatal”, due to the loss of crops and lack of payment capacity of some sectors, reported Radio Alternativa of the Erbol network. The president of the CAO, Freddy Suárez Antelo, reported that during this winter season losses are estimated by around 20%, equivalent to about 370 thousand tons less in production. He said that under these conditions a second [Christmas] bonus “will be fatal” because there are items such as corn, whose yield per hectare is less than three tons and so it will be impossible to pay. However, he indicated that it would be necessary to wait until October to find out what the real growth was and see if the legal provision of the double bonus will be applied. “Anyway, it is a rule that places us all in the same bag and not everyone has the same economic capacity to honor this commitment,” he said. The CAO reported loss of agricultural crops as a result of frosts and droughts, but clarified that it will not have an impact on the normal supply for domestic consumption. He said that this season is grown in the lower areas, but the largest supply of vegetables comes from the tropical region, that is, from the outskirts of Santa Cruz. He explained that the drought affected the soybean, corn and sorghum crops that are planted in the eastern sector of the department and the wheat crop in Okinawa.